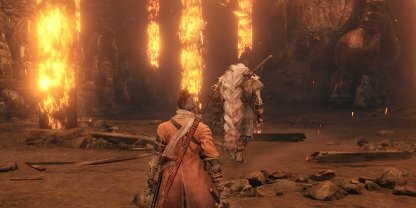 Check out this Sekiro: Shadows Die Twice guide and walkthrough on how to get the Purification Ending by defeating Owl (Father) in the Hirata Estate. Includes gameplay tips & guides. 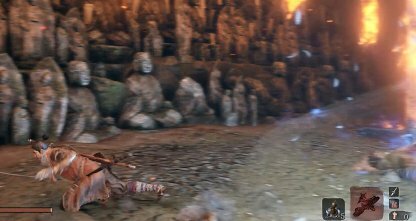 In order for you to be able to get to the Hirata Estate, you will need to present the Father's Bell Charm to the Buddha Statue in the Dilapidated Temple. 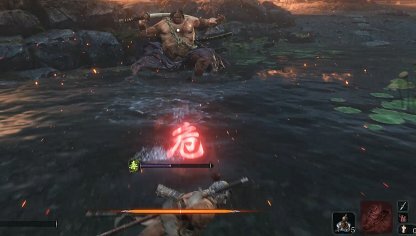 The boss fight against Lone Shadow Masanaga is entirely optional and choosing not to fight him will not hinder your progression. You can easily escape him by grappling up the tower upon entering his area. Seeing as the cave ends in a deadend, it's better to take care of the men guarding the cave first. 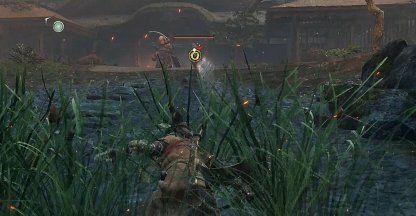 You can take them on one by one by baiting them to follow you to the temple side. From the hole in front of the Main Hall Sculptor's Idol, there's a passage under the house you can get to by crouching. You'll be able to traverse through the area and to the pond without being detected. 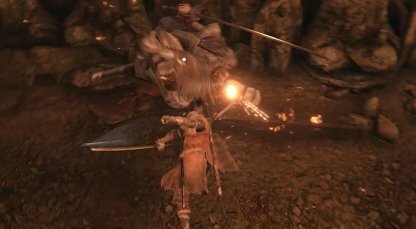 2 spear-wielding enemies and another couple of archers will be inside the Audience Chamber. You can lead them outside to have a wider area to maneuver around. Masanaga will whistle and call for dogs to join your fight against him. The dogs will all be aggressive to you, attacking you while being pressured by Masanaga as well. Check Out How To Beat Lone Shadow Masanaga! The dogs are extremely hard to handle especially when having to defend against Masanaga. Stop him from calling dogs by attacking him whenever he tries to whistle for them. Masanaga will call for his dogs as soon as he sees you. You can prevent it by rushing and attacking him. This will get you a few hits before he starts to counter your attacks. 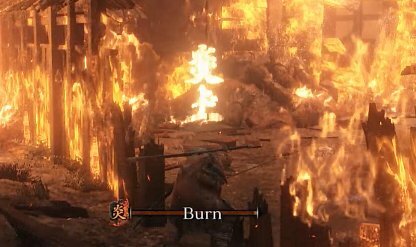 Getting cornered in one of the burning walls is a bad place to be as the burn damage will kill you if you stay too long in it. Jump or dodge to the side to get out of it. 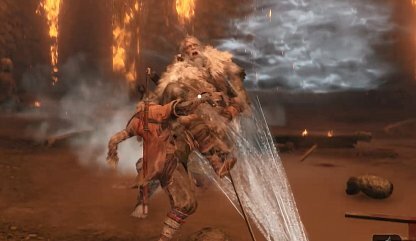 Masanaga is extremely offensive, attacking you with multiple combos at a time. 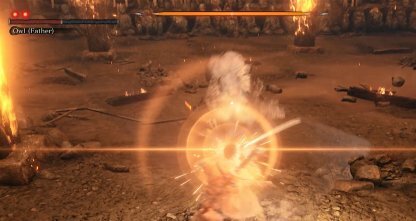 Take advantage of this by parrying his attacks and continuously damaging his posture until it gets high enough for a deathblow. One of Masanaga's Perilous moves is a low swipe attack that can easily be escaped by either dodging back or forward. He'll be vulnerable for a couple of counterattacks right after it. After a series of kicks, Masanaga will end his combo with a perilous kick move. 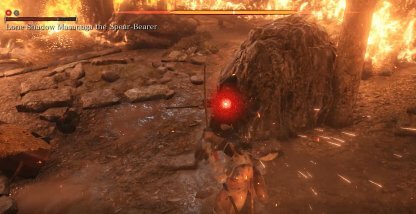 You can Mikiri Counter the attack, dealing damage to his posture and stunning him enough for a few of your own strikes. The fight against Juzou becomes easier in the pond as he'll be too far away from other enemies to join the battle. Hit the Shinobi with a shuriken for them to chase you. 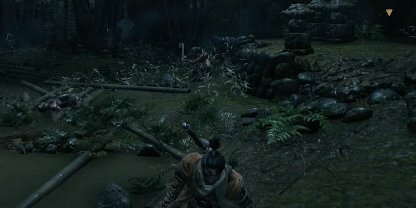 Juzou won't chase you to the edge of the pond, but the Shinobi will. Defeat him first to make the fight against Juzou a one on one. 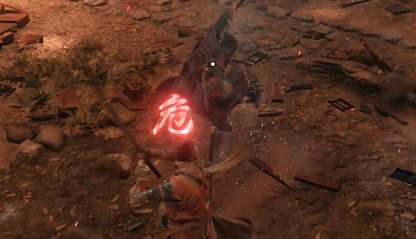 It's possible to do an Assassination Deathblow on Juzou, but it requires him to be away from other enemies and unaware of your position. You can do this after he's chased you and is on his way back to his original position. Juzou's main weakness is his inability to immediately turn when being attacked from the back or the side. Attack him from those ends, but make sure to be ready to parry his moves. The low swipe perilous move can easily be dodged by jumping up. While you're up there, you can do a couple of swings at Juzou before landing back down. Jumping will not work when Juzou does his Grab Perilous Attack. 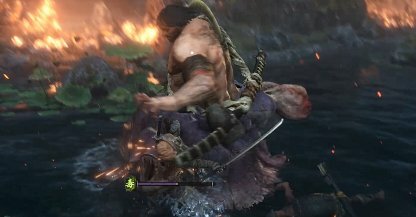 The best thing to do is jump back to escape his reach then rush forward to hit him again. 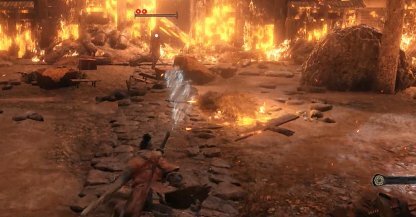 Your second fight against Owl will play differently from when you did in the Ashina Castle. He's tougher and requires more hits to be able to bring down. Owl's Posture will only receive significant damage if you bring down his health first. 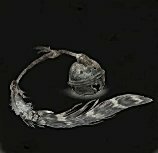 With full health, Owl's posture damage immediately goes down. You'll need to be on the defense throughout your whole fight with owl, waiting for openings rather than rushing him with attacks. Doing otherwise will easily get you killed. 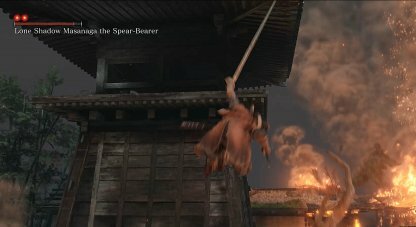 After Owl does his Firecracker Sword Sweep, he'll be open to an attack! Rush to his side to be able to get a hit or two at him. 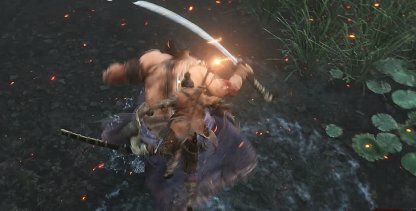 You can either jump back or parry Owl's Overhead Sword Swing, but right after make sure to rush forward to strike Owl as he tries to stand up. 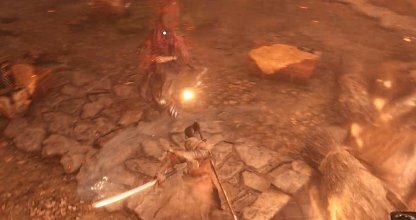 Owl has varying Thrust Attacks that you can easily Mikiri Counter. 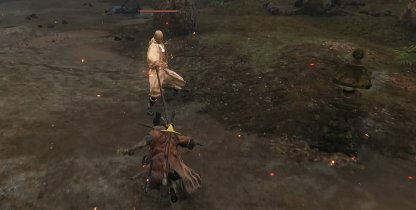 One is a simple Thrust Attack, then the other is one he does after throwing Firecrackers. 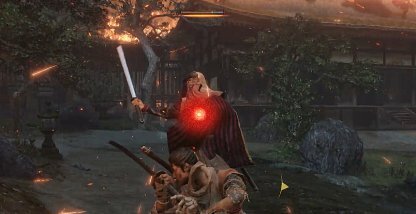 Once you've lowered Owl's HP node to 1 HP, he'll have new moves that are powerful and deceptive, fit for a shinobi at his prime. Owl will vanish and trade places with his mysthical owl. Continue running around the arena until he reappears then immediately lock on to him. Owl will also have a new perilous attack involving throwing a fiery owl at you then immediately doing a thrust. 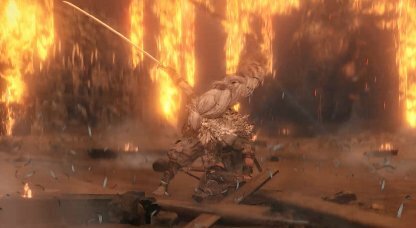 Jump to escape the fiery owl then do a Mikiri Counter for the thrust attack.